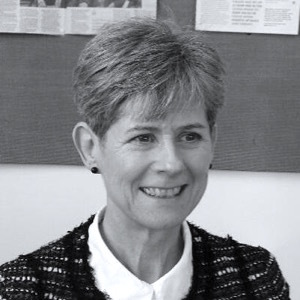 Viviene (Viv) Cree is Professor of Social Work Studies at The University of Edinburgh. She has professional qualifications in both youth & community work and social work and worked in statutory and voluntary settings for 16 years before becoming a full-time academic and researcher. She now teaches and researches on a range of topics that include feminism, social work history and the social work profession and children and HIV, as well as teaching and researching on both research methodology and higher education. What unites all this activity is Viv’s strong desire to bring a sociological, historical and structural perspective to social work policy, theory and practice, and her deep commitment to practice. Viv has been part of the four-countries of the UK research project on communicating with children since its inception, and she is now, with Fiona Morrison and colleagues at Edinburgh, leading an impact project on revisiting child protection in Scotland. She is also heading up the Edinburgh centenary project, which will celebrate 100 years of social work education at The University of Edinburgh in 2018. Viv is a prolific author who has published 13 books and many journal articles and book chapters. Read my full research profile at the University of Edinburgh website.